Multi-Coverage, Multi-Countries. Connect to various international mobile network operators, including the European Union countries, plus Liechtenstein, Norway and Iceland. Within the European Union, the SIM provides connection to a growing network of coverage with new operators being added frequently. Comprehensive and Manageable API that Integrates with Current Business Workflows. SIM cards are managed on EMnify’s purposefully-built and integrable API framework that consolidates networks and operators into one platform and is compatible with current business workflows. Hosting Fee for Inclusive Data Volumes. Start with scalable data volumes of 100MB to 5GB at affordable customer rates. Pricing is Low-Cost and Simple. Modular pricing starts at 100 SIMs per 1GB. Full Control, One Platform. With EMnify’s connectivity management platform, the end-user benefits from full control over endpoint connectivity and data usage. EMnify enables you to host multiple network identities on a single SIM and to switch between them conveniently. EMnify’s industrial-grade SIM cards improve the reliability of your IoT deployments, are thoroughly tested and already pre-integrated before shipment. 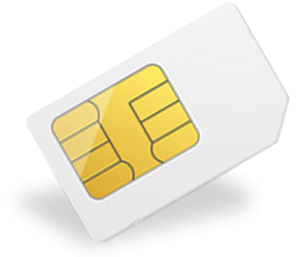 EMnify provides an embedded SIM card, which is at the forefront of progressive technologies in the telecommunication industry.